PALM BEACH GARDENS, Fla. – April 4, 2018 – LRP Publications, the education community’s most trusted source for practical and legal guidance for over 30 years, announced Dr. Robert Avossa as its Senior Vice President and Publisher of Education Products. 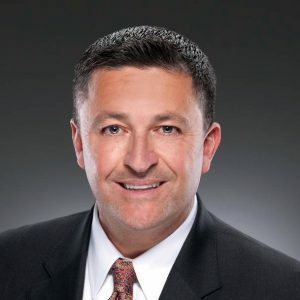 Avossa, most recently the superintendent of Palm Beach County School District, one of the largest school districts in the United States, will guide LRP in providing an additional layer of expert guidance to its customers through their hundreds of newsletters, books, pamphlets, videos, audio conferences, eLearning courses, online services and training tools. In this role, Avossa will be responsible for the overall leadership of LRP’s education products, including overseeing the editorial and conference programs such as the Future of Education Technology Conference (FETC), National Institute on Legal Issues of Educating Individuals with Disabilities® and Special Education School Attorneys Conference. Throughout his career, Avossa has held various positions in large public-school systems from Superintendent to Special Education Director, Teacher, Principal and District Administrator. His experience in general and special education will allow LRP to provide more real-world implementation ideas supported by compliance guidance to clearly explain every district’s obligations under the IDEA, ADA, Section 504, ESSA/Title I, and FERPA, plus the best ways to satisfy them.